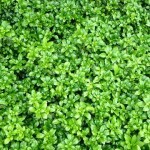 A spreading groundcover with glossy, bright green leaves. The foliage almost looks plastic it is so shiny. Creamy white blooms top the plant in the spring. 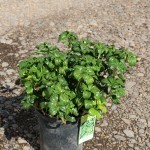 Prefers shade and moist soil. 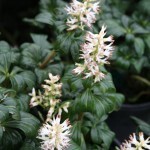 A plant to consider for using under established shade trees, the most shaded parts of a landscape, or the front of a shady border.